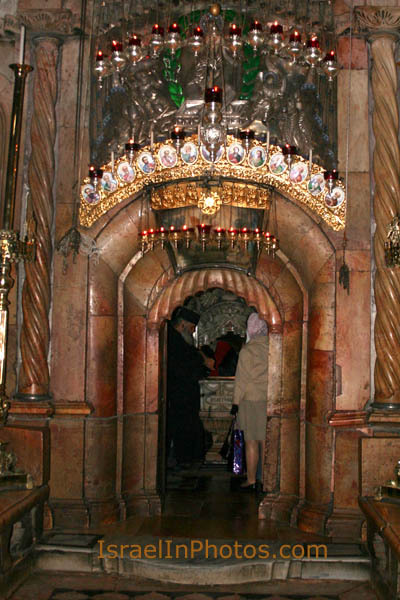 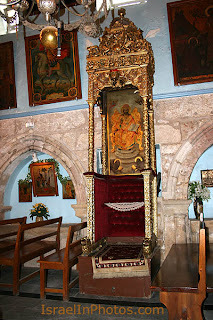 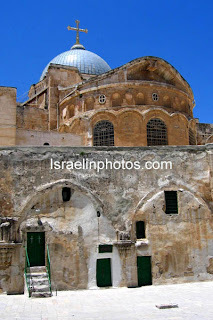 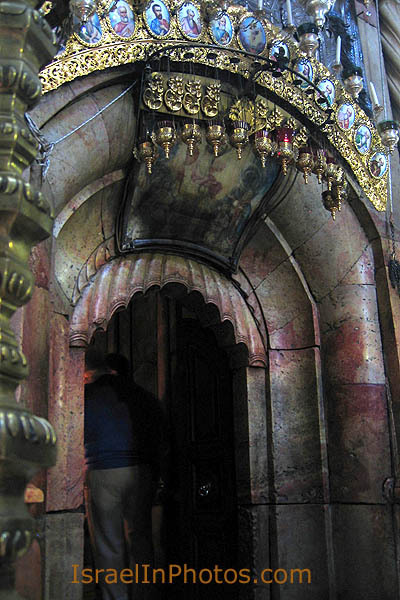 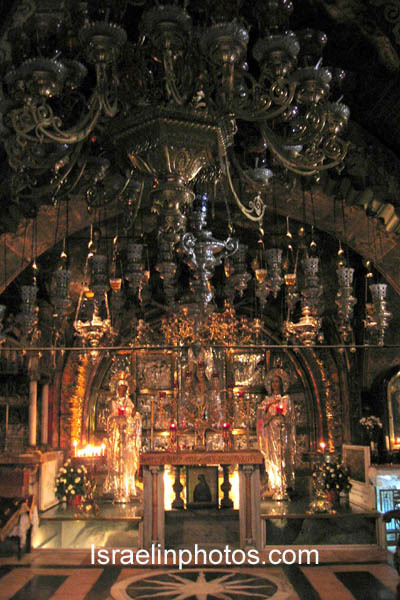 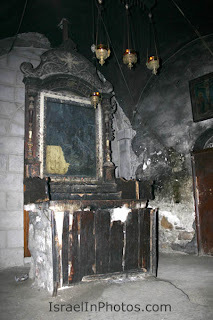 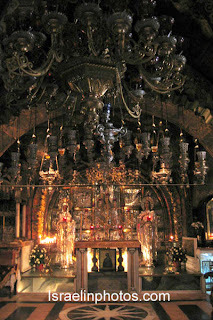 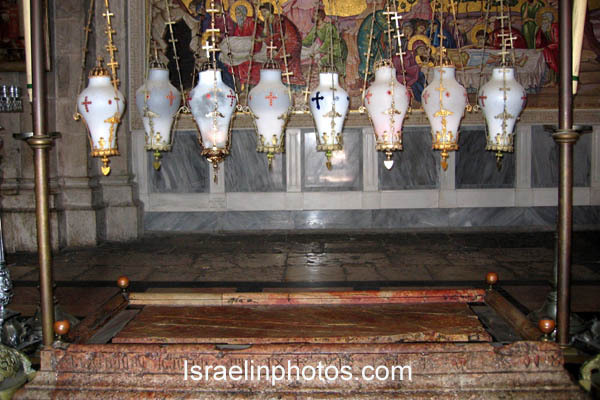 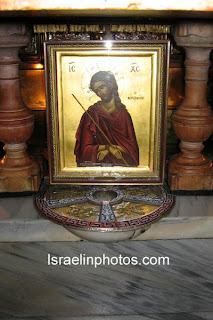 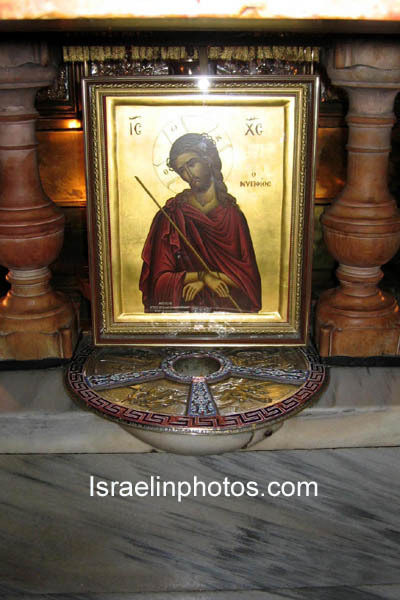 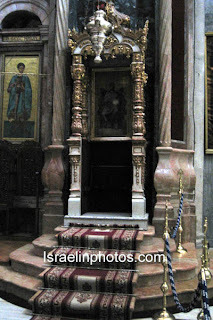 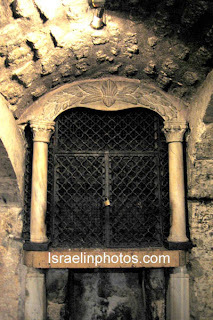 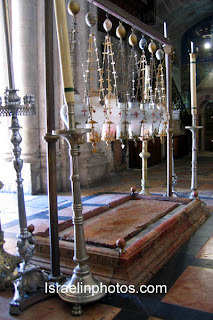 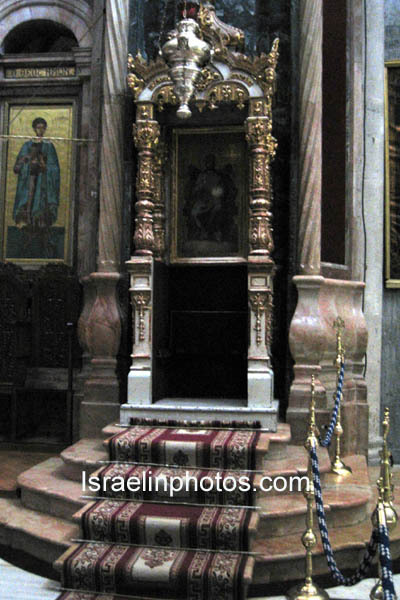 This is the holiest Christian site in Jerusalem. 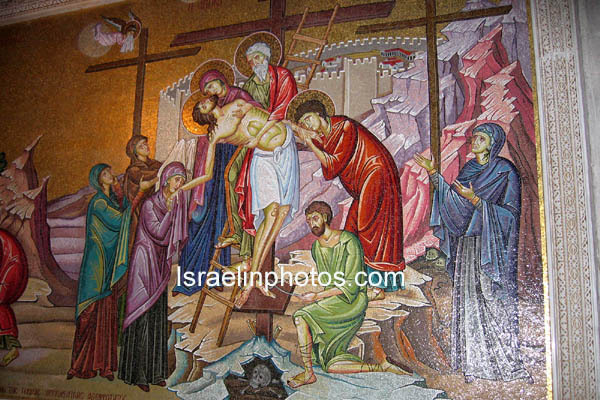 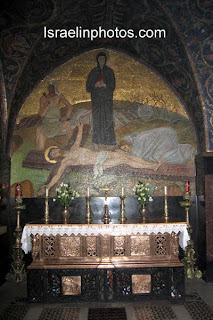 Here Jesus was crucified, entombed and resurrected. 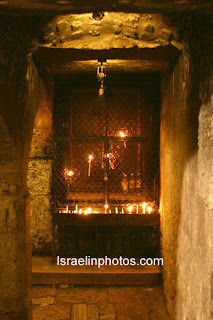 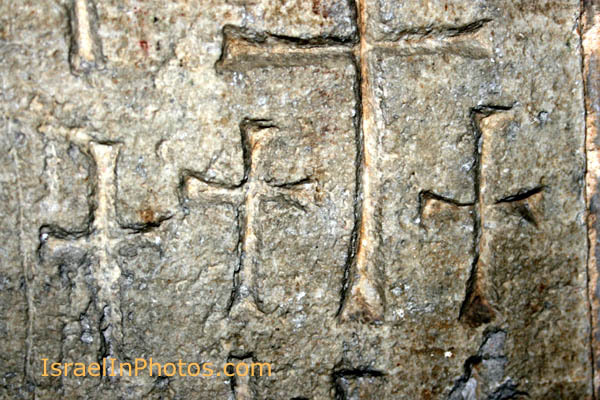 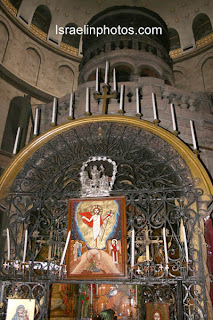 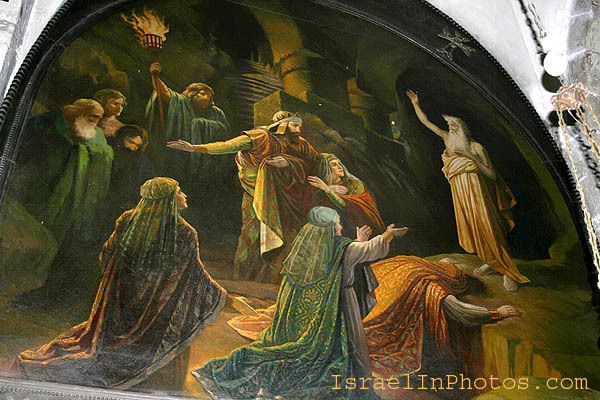 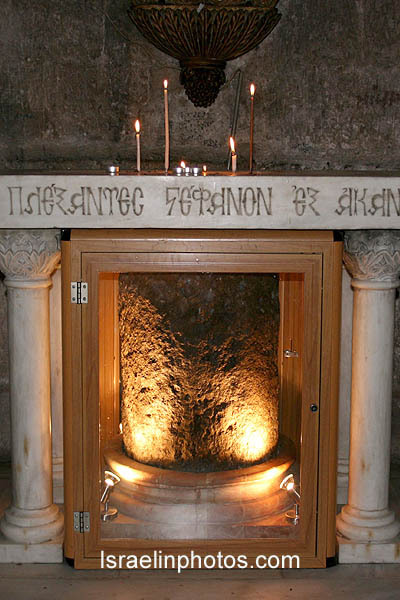 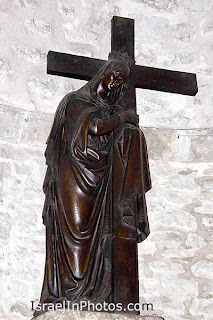 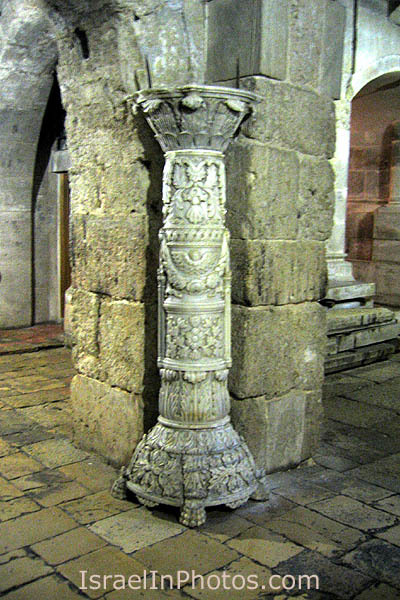 In the year 324 Helena, mother of Emperor Constantine, the first Christian emperor, came to Jerusalem and found the remains of the Cross in an underground cistern. 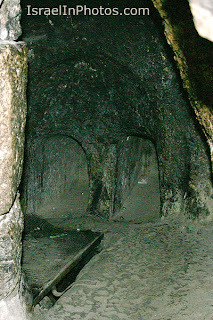 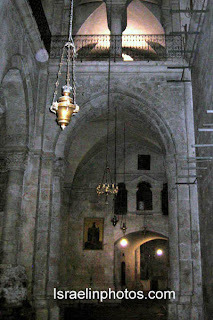 Constantine built the first church on the site in the 4th century (started in 326, dedicated in 335).The church includes under its roof the place called Golgotha, that is, the place of a "skull" or Calvary, the place of execution, and another hill where Joseph of Arimathea had bought himself a sepulcher in a burial site, which was a disused quarry and the Cave of the Finding of the Cross Constantine's church was destroyed in 614 by the Persians, soon after rebuilt. 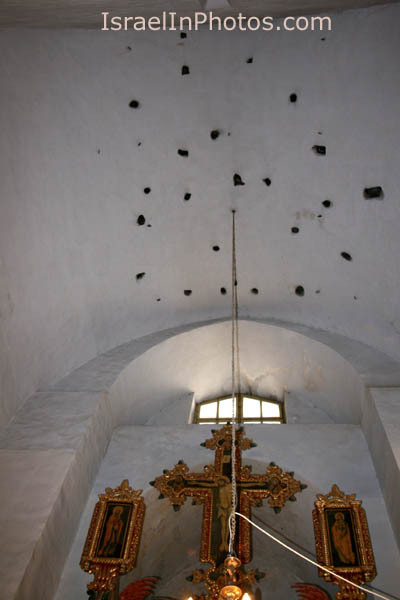 The church remained intact until 1009, when all but the Sepulcher and the structure over the rock of Golgotha was razed by the Egyptian Fatimid Caliph Hakim. 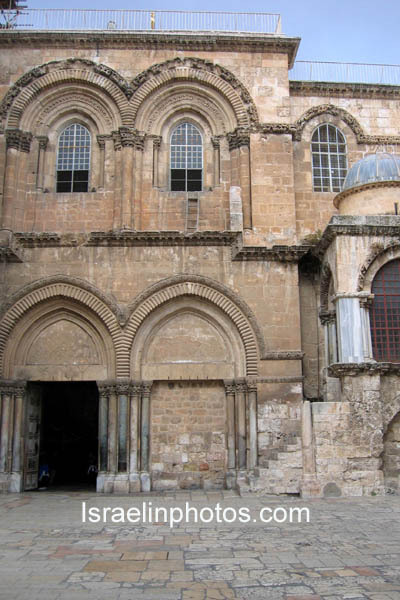 In the 12th (in 1144) century the Crusaders rebuilt the entire church, made many alterations and additions, and put all its parts under one roof. The structure that we can see today is basically from that period. 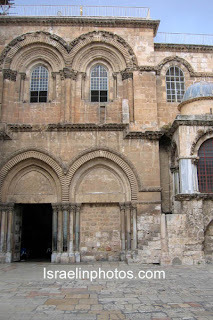 The entrance to the church is through a single door in the south transept. 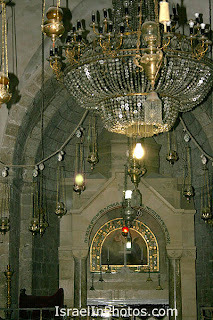 The key to the entrance is held by the Muslim Nuseibeh family who were entrusted with guardianship by Saladin in 1178. 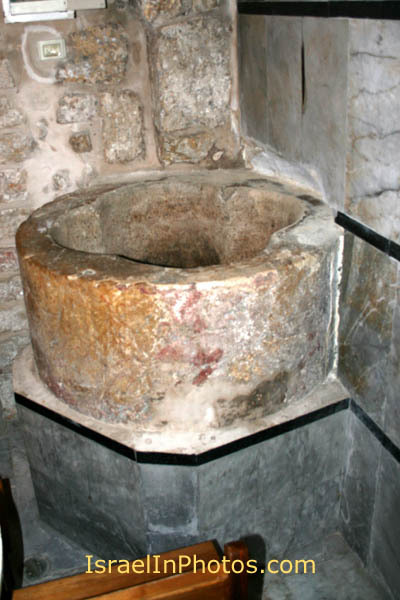 This helped to keep the peace between the various Christian factions. 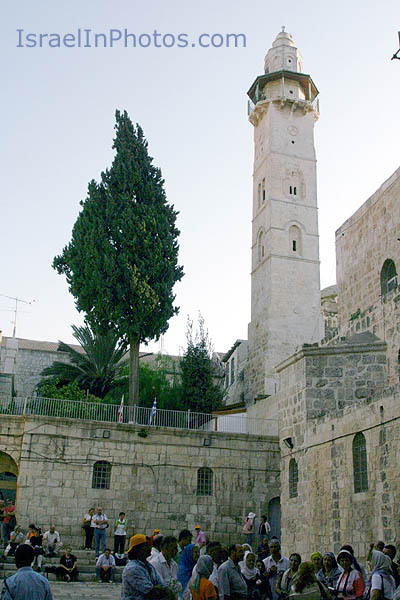 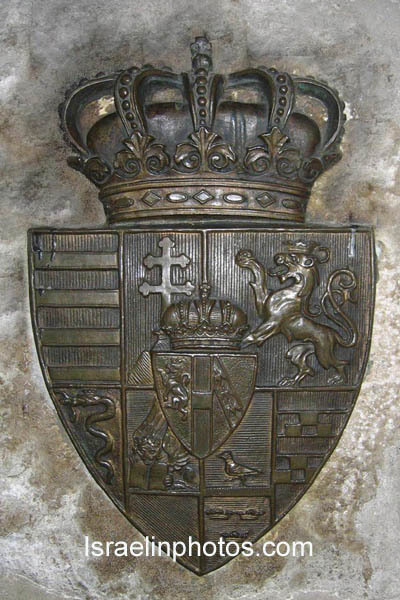 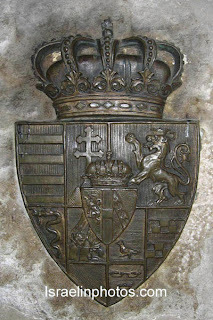 After periods of tension between the Nuseibeh family and the Ottoman authorities, in the 18th century, the Ottoman authorities appointed the Joudeh family to assist the Nuseibeh in their task. Today, the Joudeh family still assists the Nuseibeh by bringing the key to a member of the Nuseibeh family who unlocks and locks the Church door every day. 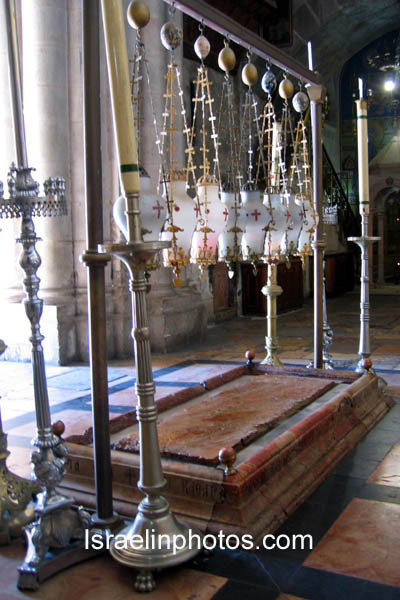 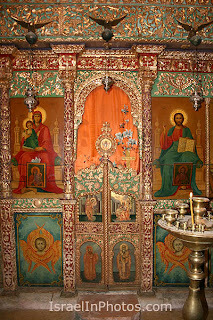 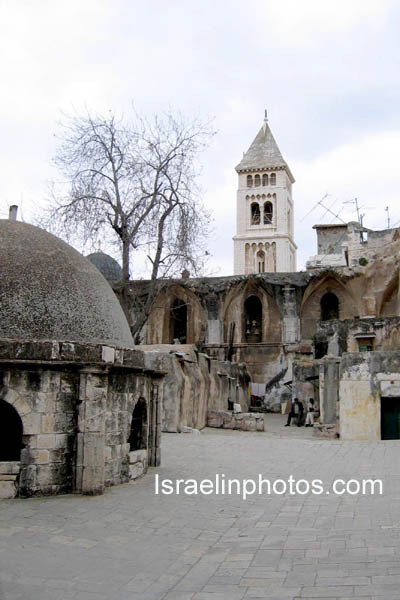 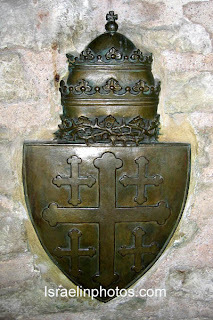 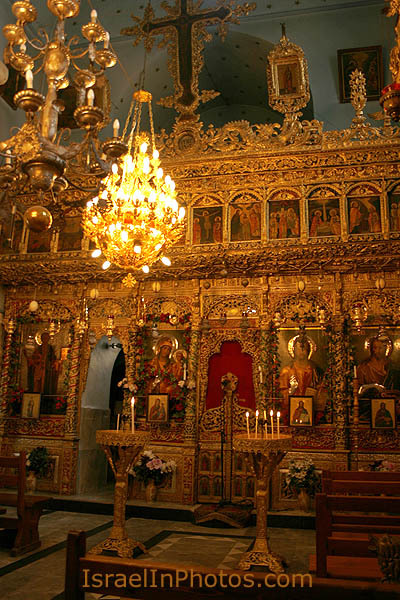 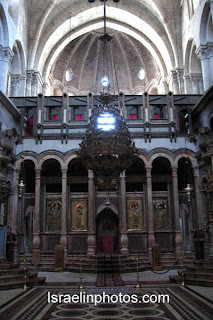 Politics of the Church: Since the Crusades, the precincts and fabric of the Church of the Holy Sepulcher have come into the possession of three major denominations: the Greek Orthodox, the Armenian Orthodox and the (Latin) Roman Catholic. 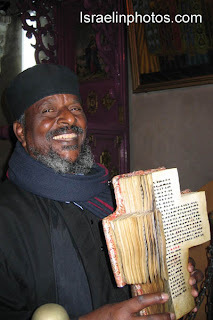 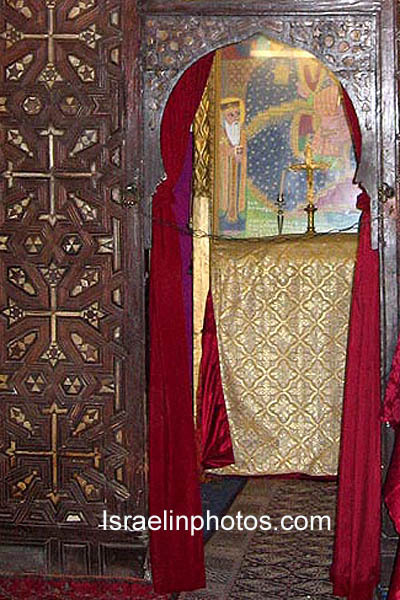 Other communities - the Egyptian Coptic Orthodox, the Ethiopian Orthodox and the Syrian Orthodox - also possess certain rights and small properties in or about the building. 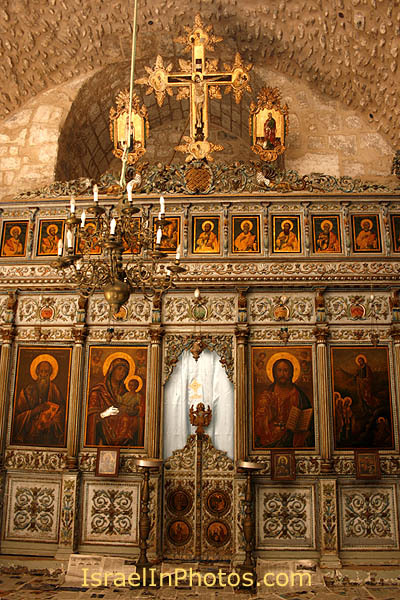 The rights and privileges of all of these communities are protected by the Status Quo of the Holy Places (1852), as guaranteed in Article LXII of the Treaty of Berlin (1878). 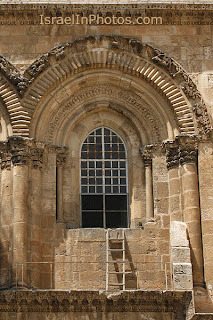 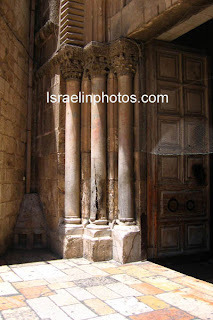 Above the main entrance are two windows where you can find a short ladder that is a part of the facade of the Holy Sepulcher Church. 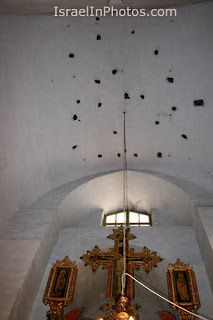 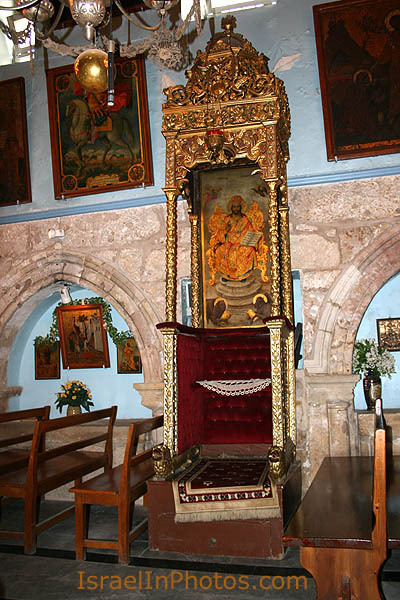 The ladder appeared there as a result of the problem that stems from the fact that the two windows above belong to the Armenians who have the right to clean and repair them, while the cornice on which the ladder rests belongs to the Greek Orthodox. At some point, (last century) the Armenians put out the ladder for doing work on the windows, and the Greeks protested that the ladder was resting on their portion. 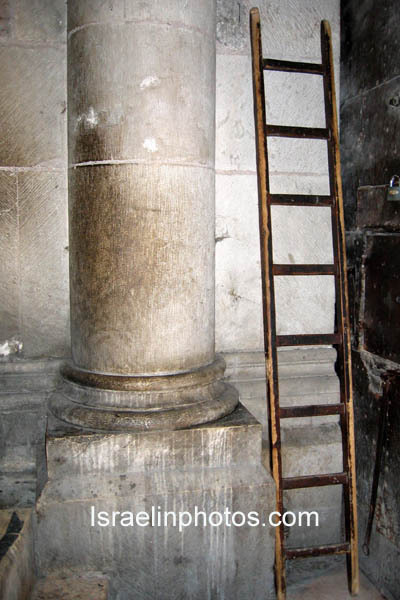 The Armenians refused to remove the ladder. 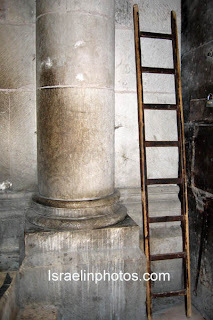 Since then the ladder remained unmoved. 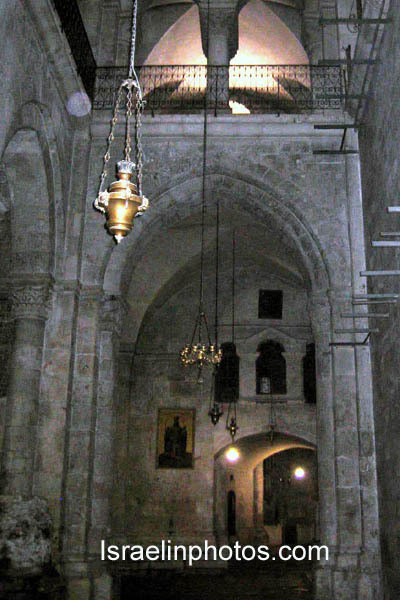 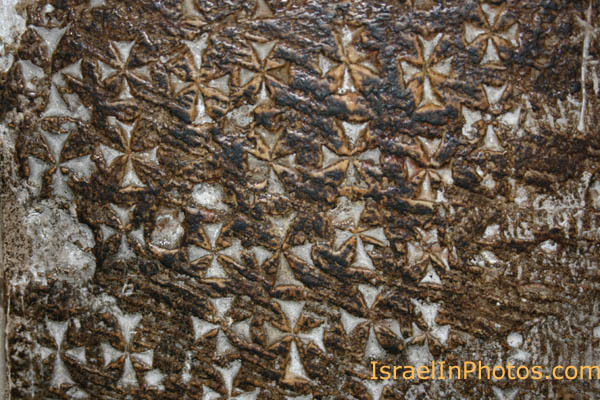 The excavations revealed early masonry below the structure of the Crusader period. 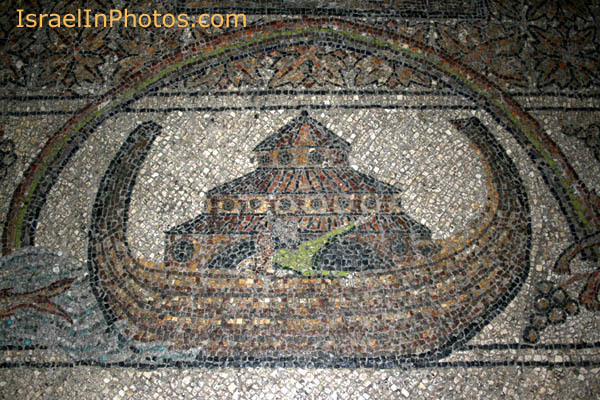 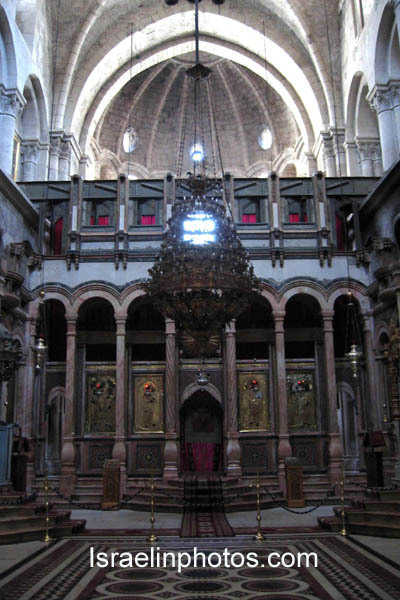 According to these findings the original design of the 4th century basilica was reconstructed. 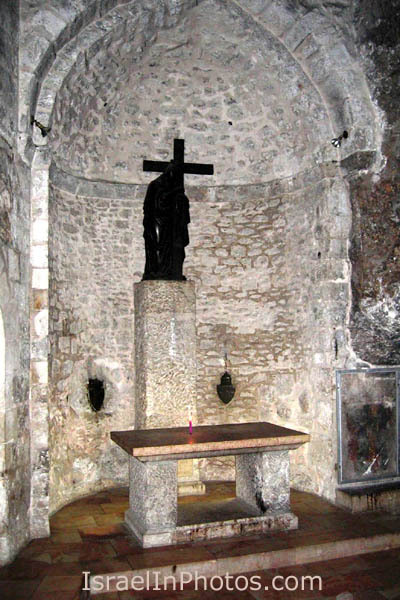 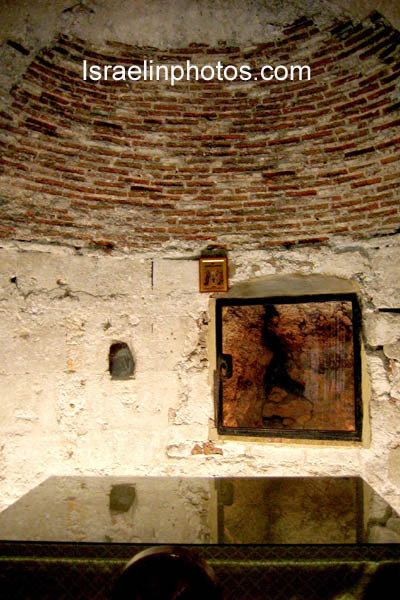 Under the apse of the existing catholicon, part of the apse that marked the western end of the original church was exposed. 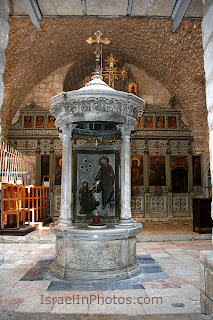 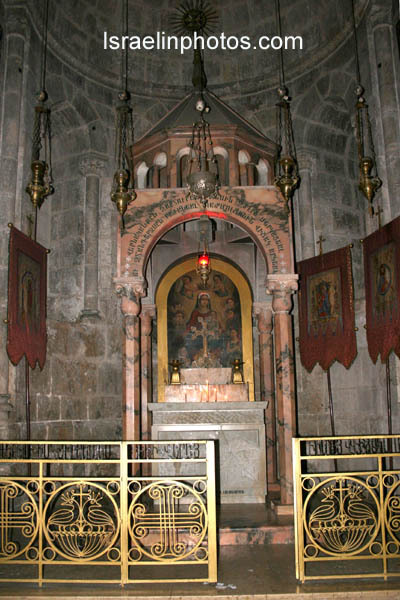 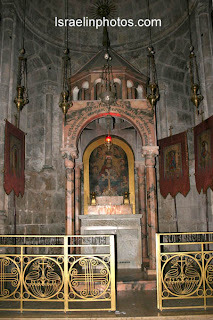 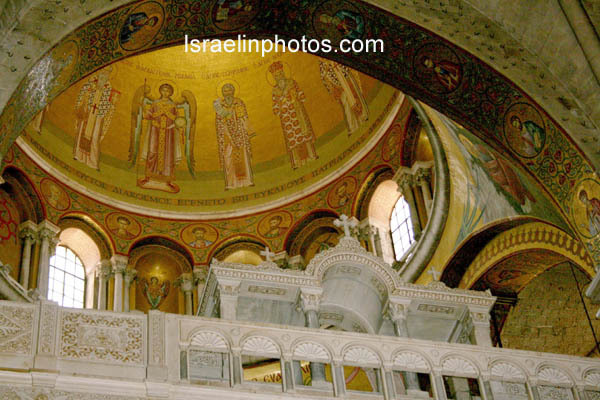 This apse was surrounded by twelve columns that symbolized the twelve disciples. 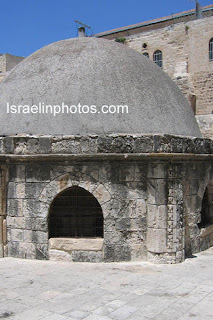 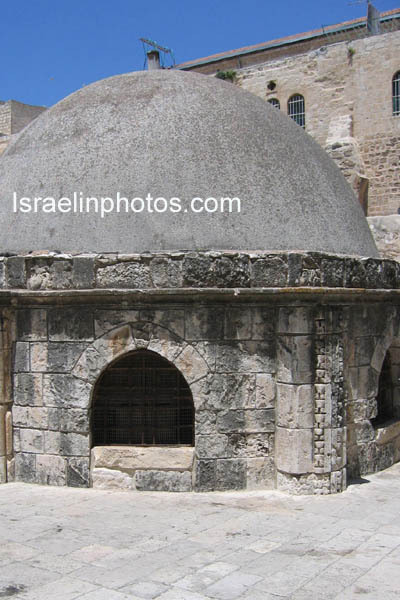 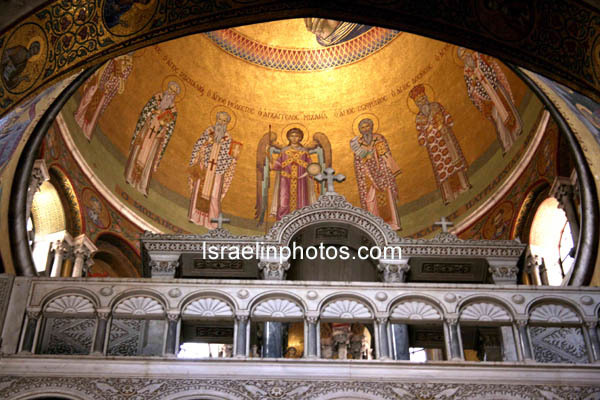 The round place under the domed roof that contains the sepulcher itself is, undoubtedly, the most important element of the whole complex and one of the most holy places for the Christian world. 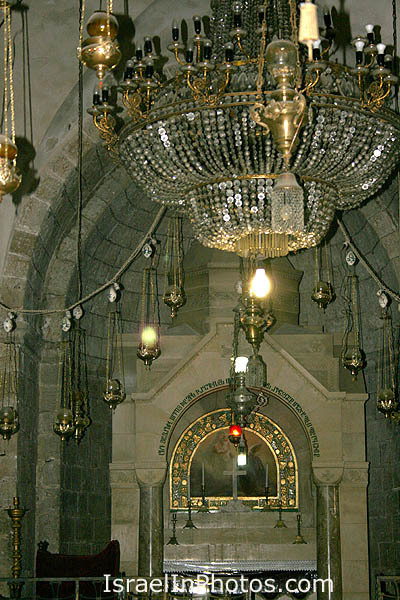 The sepulcher stands within the rotunda, surrounded by columns that support an ornamented, domed roof. The rotunda remained its original shape (dating back to the 4th century). Though the Church is still in the process of the renovation, it has already regained most of its former beauty and welcomes pilgrims and tourists from all over the world.